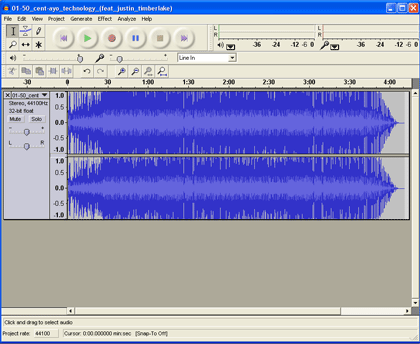 First, open your track in Audacity. 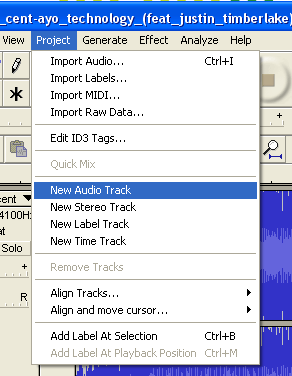 Choose Project from the top menu and select New Audio Track. 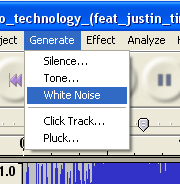 Choose Generate from the top menu and select White Noise. 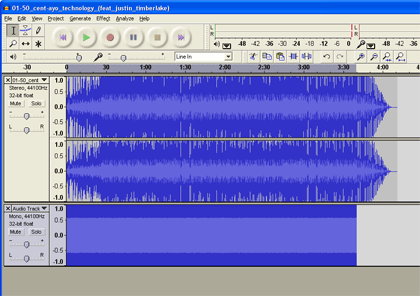 Make your noise approximately 30 seconds less than the total time of the track you are remixing. You should now see noise drawn into the beginning of your new track. Lastly, use the Time Shift Tool to move your tone further into your song. MediaDefender (beta) recommends waiting until at least 30 seconds into the track to surprise your audience like hiding a cute dog inside of a hollow birthday cake. Try changing the volume of your noise over time to keep your listeners on their toes!